Hannah started her acting career at the age of 21 and starred at many theatres including The Old Vic, Glasgow Citizen's Theatre and the Belgrade Theatre. She made her first TV appearance on 'Johnson Over Jordan' in 1965 and made a guest appearance in 'Dr. Who' in the episode 'The Highlanders' as Kirsty Maclaren in the same year. After starring in the 1969 series of 'Middlemarch,' Hannah shot to fame. In 1975, she landed the part of Lady Virginia Bellamy in the award-winning Edwardian drama 'Upstairs Downstairs'. However, five years before, Hannah starred as Florence Crompton in 'Spring and Port Wine' and it was on this set that she met her future husband Norman Warwick, a camaraman. In 1980, Hannah had a small part in 'The Elephant Man' as Anne Treves and in 1981, got the starring role of Frances Lamont alongside Wendy Hiller in 'Miss Morison's Ghosts'. TV roles include 'My Wife Next Door' (1972), 'Telford's Change' (1979), 'Goodbye Mr. Kent' (1983) 'Gardener's Calendar' (1986) 'My Family and Other Animals' (1987), after which she landed the title role in the film 'Mary Stewart', and 'Joint Account' (1989). Recent guest appearances include: 'Jonathan Creek- Black Canary' (1998), 'Misomer Murders- Judgement Day' (1999), 'One Foot in the Grave- Things Aren't Simple Anymore' (2000) 'So Graham Norton' (2000). She currently presents the popular Channel 4 painting programme 'Watercolour Challenge'. 'Jonathan Creek' Christmas Special (1998). Written by David Renwick. 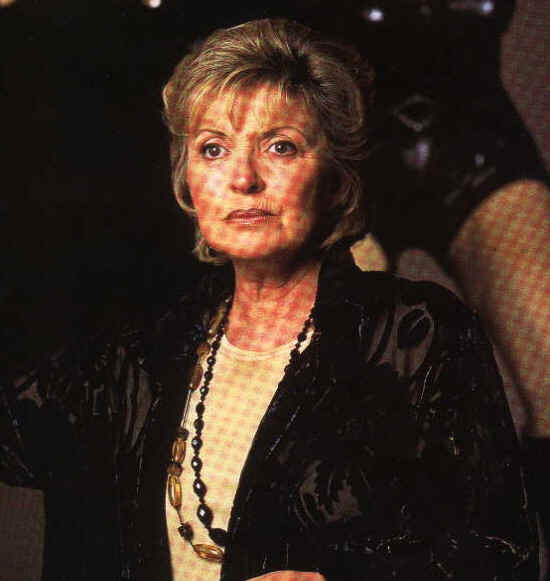 It was on this programme that I first saw Hannah Gordon. I thought her performance in this was brilliant. She played retired illusionist Marella Carney and it was a part that totally suited her. She 'became' Marella. My favourite Hannah Gordon film has to 'Miss Morison's Ghosts' (1981). She was a star! She played the part of Frances Lamont to perfection. Unfortunately, it's only available in the USA so I had to order it from Amazon.com- but it's worth it!